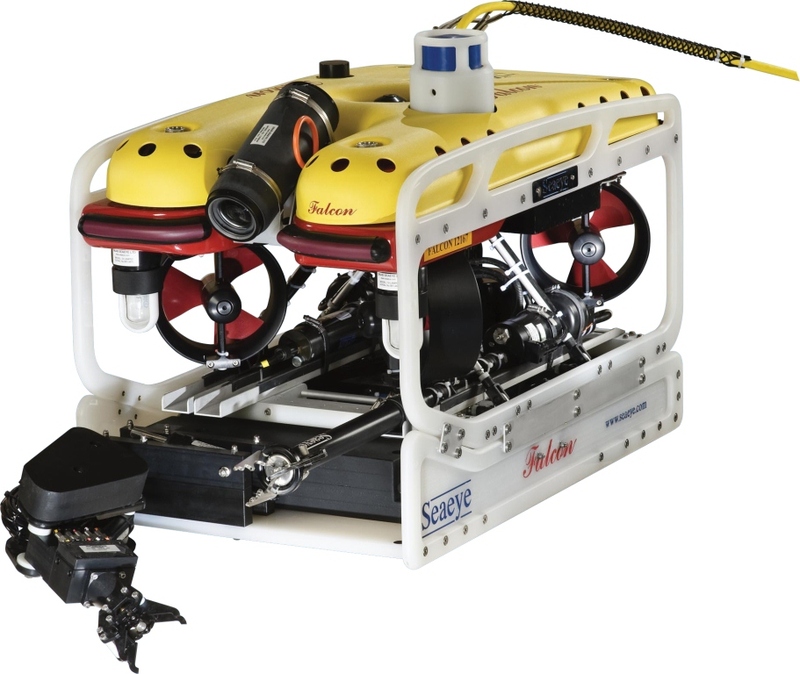 The unique 5 function manipulator arrangement gives excellent dexterity for a small arm and greatly enhances the operational capability of SeaView Systems Seaeye Falcon DR ROV. It is ideally suited to retrieval and salvage work as well as sample collection. The Falcon 5 function manipulator skid contains a small hydraulic power pack, a pressure compensation bladder and valve pack fitted with 5 bi-directional solenoid valves to operate each of the manipulator’s 5 functions. Attachment to and removal from the vehicle is very quick, with power and control supplied from the ROV to the skid via a single connector. Additional buoyancy is built into the skid to compensate for its additional weight. The manipulator functions are operated by a dedicated hand controller and the jaws incorporate a ¼-inch rope cutter.